PowerLine AV 2-Port Mini Adapter uses your home’s existing electrical wiring to extend your existing network. It turns every power outlet into a high speed network connection. Compliant with the HomePlug AV standard, it provides network access to your computers, game consoles, televisions, and any other Internet-enabled devices throughout your home. With two network ports you can connect up to two devices. Also available as a starter kit (DHP-329AV). 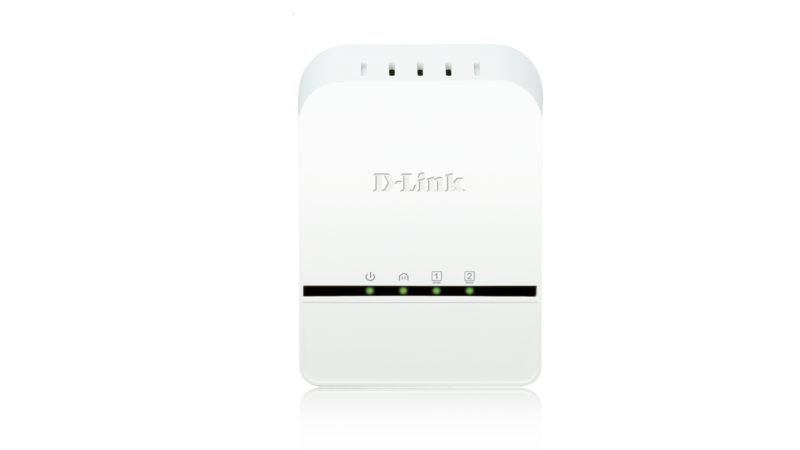 The D-Link DHP-328AV PowerLine AV Mini Adapter, compliant with the HomePlug AV standard, uses your home’s existing electrical wiring to create a network or extend your existing network. It turns every power outlet into a potential network connection to access digital media devices, game consoles, print servers, computers, and network storage devices throughout your home. The 2-Port Mini Adapters features PowerLine AV, enabling it to deliver data transfer rates at up to 200 Mbps, faster than regular PowerLine products. This rapid transmission speed makes it ideal for bandwidth-intensive applications, guaranteeing smooth HD video streaming, VoIP phone calls, and lag-free online gaming experiences. This device provides ample network bandwidth, enabling you to tap into existing electrical wiring for high-quality multimedia streaming. Additional Quality of Service (QoS) support prioritises multimedia traffic over other types of traffic on your network connection, ensuring faster transmission. Plugs directly into a power outlet, and does not require any additional cables. Extend your home network by connecting up to two devices in the farthest corners of your home, or attach a switch or wireless access point to the adapter to connect even more devices. The adapter implements 128-bit AES data encryption at the push of a button to protect your network from unauthorised wiretapping. With hassle-free plug and play installation, it’s an ideal solution to create a wall-to-wall home network.